Last year in June you may recall my blog on the American Christmas Tree Association. I was responding to an article the ACTA posted on their web-site titled, "Carbon Footprint Study Finds Artificial Christmas Trees Best for the Environment". I dedicated that blog The American Christmas Tree Association, As Fake as Their Christmas Trees to refuting the false claims of the ACTA.This year I was surprised to see the ACTA has changed its tune. The article below which draws its information from the ACTA web-site is now saying both real and artificial Christmas trees are a green choice. Why this self-contradiction one year later? The only thing which comes to mind is the old English proverb, "If you can't beat them, join them". The ACTA is starting to come around. Next year real Christmas trees should have another ally. Buy a fresh Christmas Tree online at http://www.atreeforchristmas.com. Shipping is Free! Use coupon code HASSLEFREE to receive 10% off your entire order. Michigan Christmas tree growers are donating 1,100 real Christmas trees in an effort to help military families celebrate the upcoming holiday. 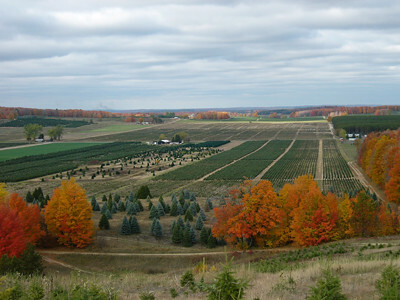 The Christmas SPIRIT Foundation in cooperation with FedEx and the Michigan Christmas Tree Association announce a Trees for Troops program that will provide farmgrown Christmas trees to more than 16,000 troops and their families. The program expects to deliver its 100,000th Christmas tree this season since the program’s inception in 2005. FedEx will pick up 300 of the 1,100 trees donated by Michigan growers at 10:00 am on November 29 at Dutchman Tree Farms, located at 9689 W. Walker Rd., Manton, MI 49663. These trees will become part of the more than 16,000 donated fresh Christmas trees for the Trees for Troops effort. The Michigan-grown trees loaded at Dutchman Tree Farms are destined for Fort Hood. The Trees for Troops program will first collect, and then deliver the fresh Christmas trees to families at 63 military bases across America. The Trees for Troops program provides a way for all Americans to show their appreciation for the sacrifices that U.S. troops and their families are making this holiday season. Members of the National Christmas Tree Association (NCTA) and at least 20 state or regional Christmas Tree Associations are donating the Christmas trees. FedEx is providing free shipping. The Christmas SPIRIT Foundation – based in Chesterfield, Mo, is a not-for-profit foundation that advances the Christmas spirit for children, families and the environment. Trees for Troops is just one of its projects. For more details, go to www.ChristmasSpiritFoundation.org. Consumers that are interested in supporting the Trees for Troops program and the Christmas Spirit Foundation can make a contribution on-line at: www.ChirstmasSpiritFoundation.org. 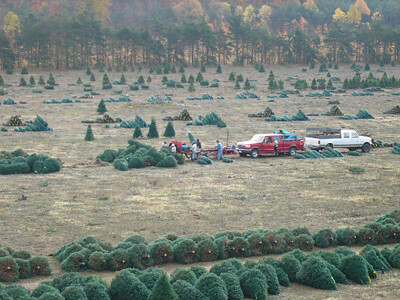 Many Michigan Choose & Cut Christmas tree growers will also be accepting contributions for the Christmas Spirit Foundation and to support Trees for Troops at their farms throughout the Christmas season. Buy a fresh Christmas Tree online at http://www.atreeforchristmas.com. Get 10% off and Free Shipping when you use promocode "HassleFree" at checkout! Every year we offer a Choose and Cut which means choosing your own tree out of our field and cutting it yourself. This is a GREAT way to start new family traditions in your family. Thousands of Trees to choose from! $3 pony rides available on Nov. 25th & 26th and Dec. 3rd. Come join us for the fun and make it an all day family event. Any questions, please don’t hesitate to reach us at (231) 839-7074. Christmas traditions are an important part of our holiday spirit. When it comes to decorating the house and tree, my wife fancies the elegant and refined Victorian Christmas decór. Ribbons, garlands and elaborate decorations awaken the spirit of Christmas within all who enter our home. Each year everyone gets to pick out a new Christmas ornament for the tree (provided by Dutchman Tree Farms, of course). This helps the children associate special Christmas memories to each ornament they picked over the years. Baking is a big part of every Christmas. Leading up to Christmas, my wife, with kids in tow, is fond of frequenting cookie swaps. Some of our favorite baked delights include: Mexican wedding cakes, ginger snaps, Christmas cut-out sugar cookies with sprinkles (the kids won't eat them if they don't have sprinkles), Pfeffernuesse, and a plethora of Italian dessert breads. As a family, we attend a Christmas eve service. After the service, but right before their heads hit the pillows, the kids open one gift. Whether we want to or not, we start our Christmas morning early! The footsteps and loud voices of excited children remind us it is time to get up. Before breakfast, the lad and lasses check to make sure they didn't get coal in their stockings. After a delicious Christmas breakfast everyone sits down to open all the gifts under the tree. The rest of the day is spent enjoying the blessings we have in our family and friends. With the children in bed, and a joyous day now over, my wife and I watch "A Christmas Carol" with George C. Scott and enjoy a few more cookies and some hot chocolate (possibly with a shot of Bailey's). What about your family traditions? Leave a comment and post some of your favorite cookie/dessert recipes! 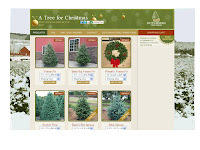 Buy a fresh Christmas Tree online at http://www.atreeforchristmas.com. Shipping is Free! Only 75 Days til Christmas! If you are like me, you are already starting to stress about this year's Christmas list. At Dutchman Tree Farms, one of the largest Christmas Tree farms in the nation, we are going out of our way to make this year's Christmas tree hassle free for you. Last year we launched A Tree for Christmas. It is a web-site from which you can order Christmas wreaths and seven different types of Christmas trees. It makes Christmas tree buying very easy. During check out you get to pick the day your tree(s) and or Christmas wreath(s) are shipped to you directly from our farm. Shipping is on us and you have our farm quality guarantee that the tree will arrive as beautiful as when it left the farm. Since you are reading and hopefully sharing this blog, I am giving you an opportunity to receive 10% off your entire order at check out by using the promo code HASSLEFREE. You can also join our Facebook Page and by posting on our wall enter to win our weekly raffle. We are giving away a free table top Christmas tree on every Friday until December 16, As you can see we are going out on a limb to make sure your Christmas is less stressful this year. "Theresa was such a pleasure to work with. Her calm and loyal demeanor will be something I will always remember. Of course, the most treasured thing is a friendship and that will never end!" This is just one of the many sentiments expressed as Theresa Ladd, after 19 1/2 years of loyal service, said her good-byes to Dutchman Christmas Tree Farms. It was a moment of sadness for all of us to see her go. I only knew her for a a very brief period of time and most of our communication was via e-mail so I may not be the best person to express all she did for the Christmas tree farm. I can tell you what I do know. Her work was marked by a genuine caring for those around her and an exemplar professionalism. This Christmas will be different than the last 19 on the farm. A member of the Dutchman Tree Farm family will not be here. We are thankful for all your years of service and ask God to bless your future wherever it may take you. Just recently, I had to leave work immediately after a phone call to fly across the country to visit my dad whose life was hanging on a fraying thread. He had been admitted to the ICU with double pneumonia and a critical heart issue. The cause, smoking. Ever since I can remember my dad had a cigarette in his mouth. The only time he didn't light up was at church. It took many years for his smoking to catch up with him, but little by little, cigarette by cigarette, his health deteriorated. He remained in the ICU sedated for weeks while doctors constantly checked on his precarious condition. I spent two weeks next to his lifeless form hoping and praying his time would not be then. Fortunately it wasn't. After many months of learning how to walk again and other intense rehab he was on the mend. Like everyone else he was aware of the risks of smoking. Like many smokers he thought, "It won't happen to me". If he had really wanted to avoid this near death experience he could have put forth the effort to stop. I do not hate smokers, but I believe my experience can help smokers understand the potential havoc this addiction can cause on loved ones. I could have lost him. Even though he has his issues, as we all do, he is my dad and losing him would have been devastating. So what does this have to do with Christmas? The answer is quite simple. Most people know over 1.3 million people world-wide are smokers and an average of 443,000 Americans die of smoking each year. But what many people do not know is 3.5 million people in the United States have lead poisoning. Lead poisoning affects the central nervous system and red blood cells. Some statistics show that lead poisoning leads to mental retardation during pregnancy, reduced mental development as a child progresses and a reduction in the child IQ. Other symptoms include nausea, abdominal pain and chronic headaches. Studies have show that exposure to high amounts of lead is the predominant cause of anemia. Why isn't there an aggressive campaign to combat lead poisoning as there is to stop smoking? Mathematically, the consequences of lead poisoning are more rampant than those of smoking. PVC contains lead. 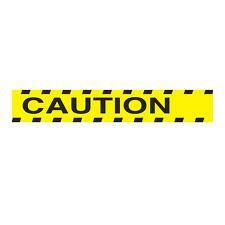 California is considering a ban of the use of PVC in packaging because studies have shown PVC leeches (leaks) lead. So the question I leave you, is why would you expose yourself and those you love to lead at Christmas by having a PVC (a.k.a. Artificial) Christmas Tree? My dad got lucky. Are you going to take a chance and risk your health and possibly your life? I am sure when smoking was becoming popular the celebrities of the time were in cigarette ads. If you visit some of these artificial Christmas tree web-sites you will see some celebrities of our time. Do yourself a favor and think for yourself. Don't put yourself or those you love in danger because some celebrities face was on an ad. Starting this month, September, I will be choosing a Fan of the Month on our Facebook Page. Yes, you do have to be a fan in order to win. The Fan of the month will be elected by the content he or she posts to the Dutchman Tree Farms Fan Page during the month. I love pictures, videos, witty comments, Christmas brain teasers or anything Christmas related. The more the merrier and the chances of you winning increases. Tell your friends. At the end of this month the winner will be awarded a Dutchman Tree Farms fan ball cap. If you don't win have no fear! You won't be 'boiled in your own pudding and buried with a stick of holly through your heart' (Name that quote). You will have another chance to win the following month. At the beginning of next month I will let you know what the prize will be. We all hear of people planning the wedding of their dreams, but what about planning the Christmas of your dreams? Dutchman Tree Farms would like to help you start planning the Christmas of your dreams. I have created a survey on our Fan Page in order to understand your needs to help you get the most gorgeous Christmas tree you have ever had without any hassle. While you worry about baking Christmas cookies and drinking hot chocolate, Dutchman Tree Farms is committed to making sure the Christmas tree of your dreams arrives directly to your front door. This will give you more time to focus on enjoying the Christmas Season and less time worrying about shopping. -“perfect for the on-the- go families and those with a low patience threshold.” It doesn’t get easier than ordering online and having your real Christmas tree shipped right to your door. For those of you of who have ever tried to put together a fake Christmas tree, you know it is like piecing it together a 3-D jigsaw puzzle, trying to manipulate metal and plastic to create a natural look. I don’t really see how that is good for people with a low patience threshold. -“It’s simply a tree-in-a-box---literally.” Literally when you order your real Christmas tree from ATreeForChristmas.com it comes right to your door in … get this… a box. No really, it is shipped in a box and you don’t even have to put it together. -“Short on time” it takes less than five minutes to order online, and you don’t have to wait in a checkout line. -“on a tight budget” with free shipping from one of the largest Christmas trees farms in the US, you get the highest quality Christmas tree for the very best price. - “Don’t want to venture out in the frightful weather” How about you just open your front door. I think that the author of this article made some great points, but not in favor of the fake Christmas tree. Choose the other Christmas tree in a box this year, it could be just what you need. To order your real Christmas tree in a box go to the website ATreeForChristmas.com. Use the code HASSLEFREE and save 10% off your entire order. Today there is a lot of talk about going green and green jobs. Everyday we are inundated, through the multifarious forms of media, with the importance of making sure we keep our planet healthy and clean. We are all responsible to do our part. At Dutchman Tree Farms, as do all Christmas tree farmers, we take this responsibility seriously. Every year we after harvesting your Christmas trees, we plant over 250,000 new trees. Big deal. Right? Well maybe, but before shrugging this off let's think about this. A mature tree produces as much oxygen in a season as ten people inhale in one year. Now if we multiply 250,000 by 10 that means, just the trees we plant each year, 2.5 million people are being supplied with oxygen every season and 8.2 million every year. Yes, obviously the trees we plant each year are not yet mature, but what about the over 6 million on the farm which are? That is enough oxygen for over 60 million people a season and over 240 million a year. This means Dutchman Tree Farms produces enough oxygen for well over half of the United State population each year. I hope I am not too bold as to ask that we ask ourselves a simple question: Are my hard earned dollars this year going to help enhance our planet or will they end up polluting it? I have always wondered why the people to whom we usually owe the most only get one day out of the year in their honor: mothers, fathers and those who have given their lives to protect our freedom. Today we remember those who gave their lives so we wouldn't have to give our own, the countless brave men and women who believed in our one nation, under God, indivisible, with liberty and justice for all. These heroes died for their beliefs and for us. At Christmas time every year, Dutchman Tree Farms honors our troops by donating hundreds of Christmas trees to Trees for Troops. It is our small way of saying, thank you, to the families of those heroes who have put their lives on the line for you and me. Tell us how you show your gratitude to these heroes? Come visit our tree farm.